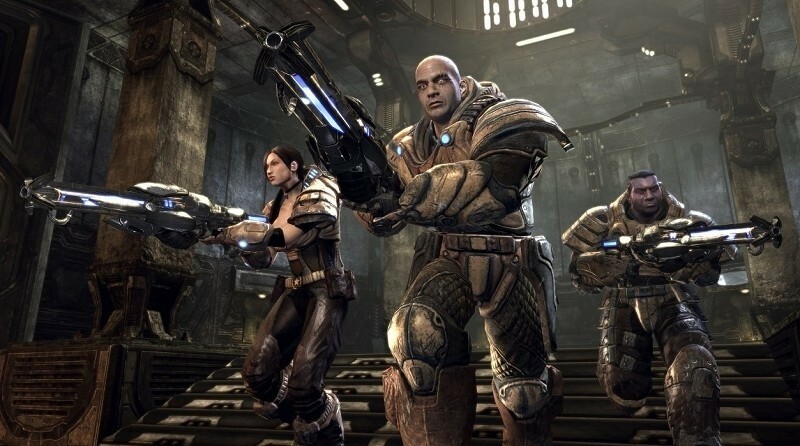 Earlier this month, Epic Games announced the next installment in the Unreal Tournament franchise. The team started from a blank slate and now less than three weeks later, we have a look at the game’s very first deathmatch. As you’d expect from a game that is barely three weeks old, it’s extremely rough around the edges. But as senior designer Nick Donaldson points out, the current iteration features a functional weapon system, some basic player movements and a “questionably operational” kill system. Naturally, it’s being built using the Unreal Engine 4. The footage shows the design team battling it out in a tiny multiplayer arena that consists of little more than boxes for props and a blue sky overhead. The team even called Donaldson out for using hacks like wall dodging – the type of stuff that won’t make it into the game’s final cut. Epic Games revealed plans for the new game back on May 8 during a live Twitch session. The game will stay true to its roots as a competitive first-person shooter although the development team is taking a unique approach this time around by offering the game completely free of charge. Furthermore, they’re asking Unreal Engine 4 developers and fans of the franchise to contribute to the project via the Unreal Engine 4 community. It’s being created for Windows, Mac and Linux. A user-playable version of the game is still many months away but it’s good to see that the team already has a working prototype.